Business description - Medico Remedies is a pharmaceutical formulation manufacturing company with manufacturing and marketing capabilities in formulation with focus on anti-infective, Beta-Lactums, cephalosporins, antimalarial, antiretroviral, anti-ulcer drugs and antacids, vitamins, haematinics and other supplements. Further in addition to the above, the company also has manufacturing and marketing capabilities in other drugs such as NSAIDS, antihistaminic, anti-diabetics, cardio vascular drugs, diuretics, anti-epileptics, combination drug kits, syrups and cream & gel for various therapeutic segments. The company began its operations in the year 1994 with manufacturing and servicing of diuretics, anti-malarials, NSAIDS tablets, anti-reterovirals, anti-ulcer drugs and anti-acids tablets. As part of expansion, in the year 1999 & 2002, it acquired two adjacent plots of 1,023.50 sq. metres each respectively, for setting up plant at Palghar, Maharashtra. The plant is divided into two units, i.e. general formulations unit and beta- lactam unit; the beta lactam unit is further divided into two segments –penicillin and cephalosporins. With its long standing operations and quality products, the company has built a strong relationship with its customers for drug formulations. Its clients include Indian as well as foreign pharmaceutical companies like Anphar Limited, Saad Medical, Manfes Pharmaceuticals & Chemical Industries, Award Global Company Limited, Directorate of Health Services (DHS, Maharashtra) to name a few. The company also earns revenue from the sale of licenses such as FMS license, FPS license and MESI license. 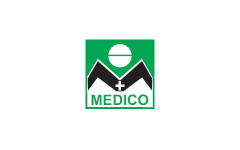 Medico Remedies IPO allotment status is now available on Cameo Corporate Services' website. Click on this link to get allotment status. Medico looks good on paper. At least they are not making up numbers as other SMEs. They have good base of past years and not selling shares too costly. Pharma is currently down but it is one of the best industries to make long term money! Pill is never sweet; valuation on higher side. This one is good. Continue growth business.